are a non-interacting, visual pair of lenticular galaxies, approximately 55,000,000 light years distant. 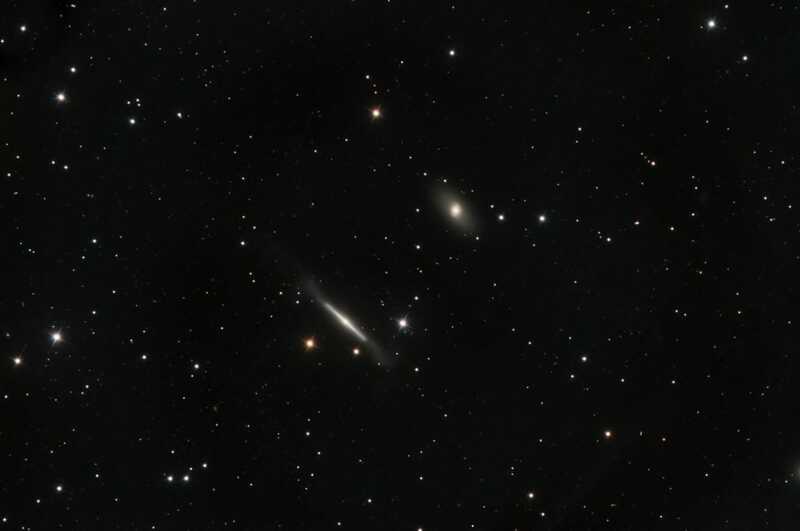 NGC 4762 is the extremely thin, edge-on at lower left, which exhibits faint but interesting extensions off of its tips. NGC 4754 at upper-right, is a face-on, barred lenticular. Though its core features are very subtle in this image, note that its inner and outer ovals are oriented 45° from one another, indicating a possible cannibalization of another galaxy. The data was acquired at New Mexico Skies in 2013.